It is summer, and you just cannot ignore all the colors of navy that come into our lives at this time of the year. Nautical stripes, 4th of July, and the beach, just scream for the use of this timeless color. I love the inspiration I get from searching for ideas for my blog. 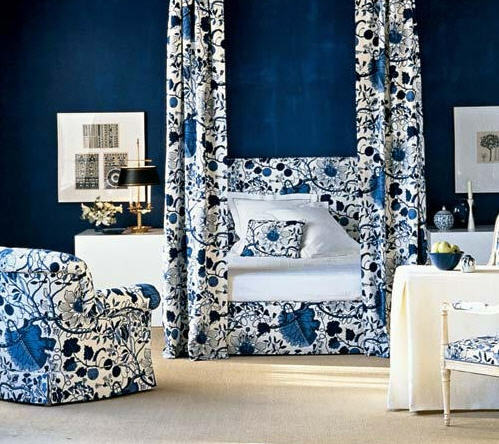 I have never had a navy room in my home, but as I looked at the photos I am about to share with you, I had to take a second look at this color. Navy walls seem to create a sultry midnight feel to a room, and navy accents just lend a pop of this classic color that will never go out of style. 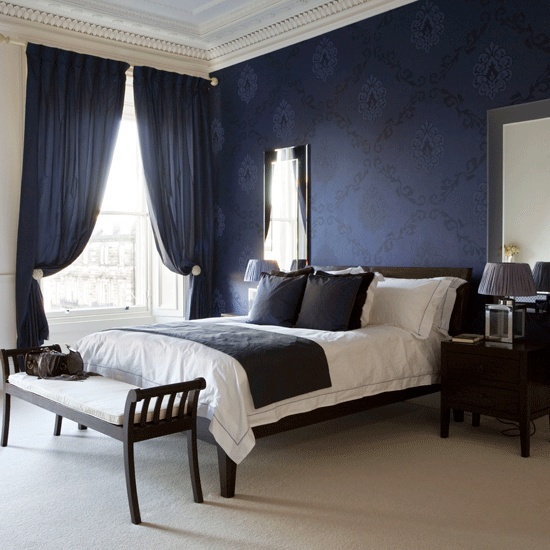 From sophisticated to fun and whimsical, navy never fails to bring a little wow into a room. Enjoy navy inspiration! 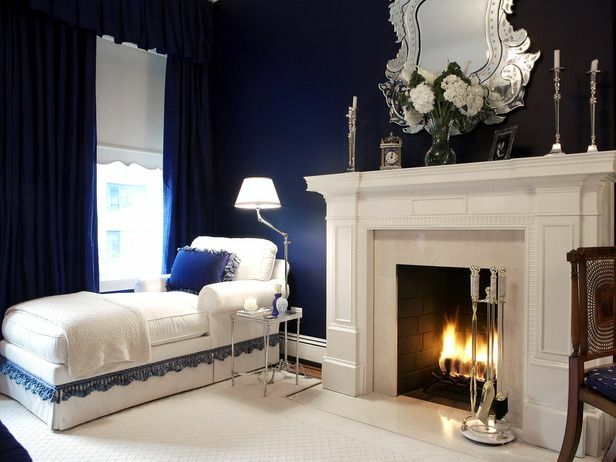 Here is a great example of using navy accents in a room. I love the trim on the curtains, the navy buttons on the chair, and the bedding, which lends a subtle touch of navy detail. 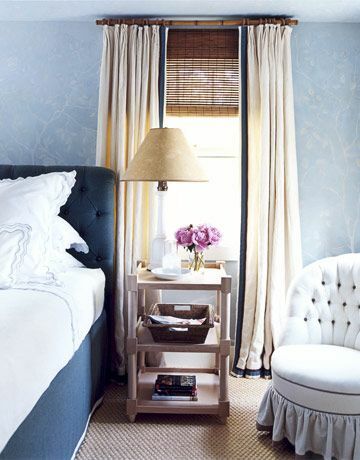 The background of the soft blue walls keeps this room restful, and the navy headboard and bedskirt add sophistication. This room is masculine, but the curtains add a subtle touch of femininity to soften the look. The walls are just absolutely wonderful, and of course, I love the white linens with navy trim. Navy and white plates can really add to a room, whether used on your table or as wall decor. 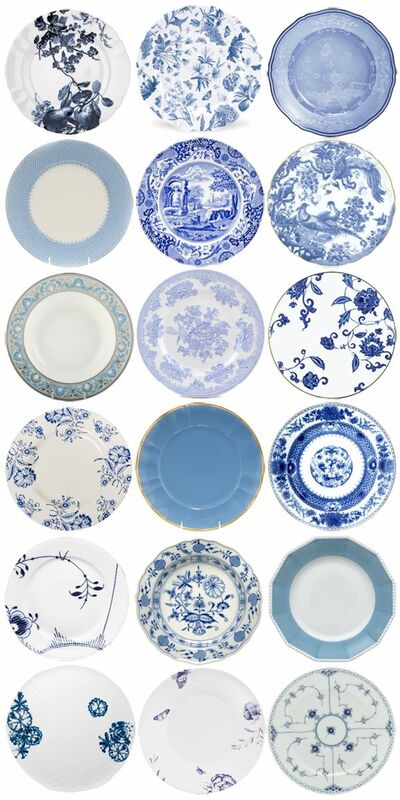 I can never get enough blue and white china into my home. I have used them with purple table linens, and Cobalt blue stemware in my Paris apartment. Dramatic and fabulous, need I say more. Love the pattern here, and again, notice the white bedding! 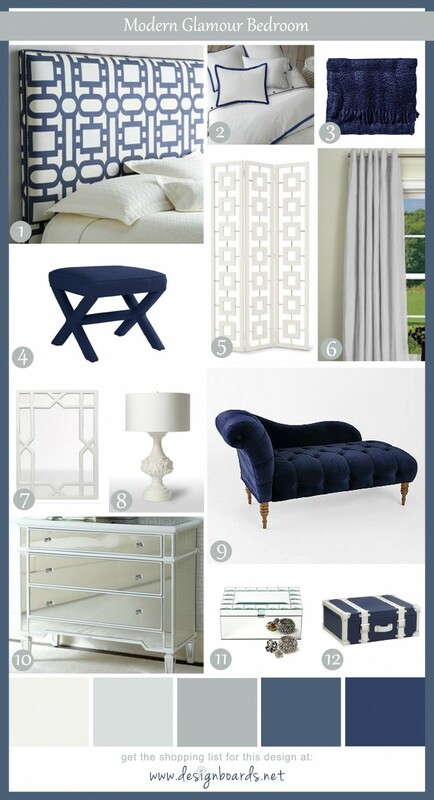 Some ideas with navy accents for any room in the house. 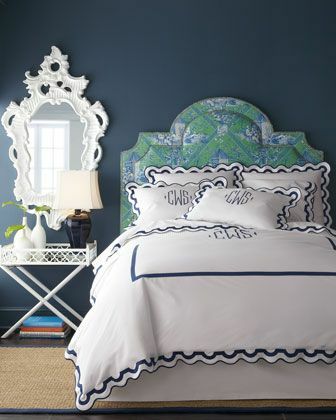 Young with a bit of whimsy, especially with the monogram, headboard, and white mirror. Great look for a modern master bedroom. 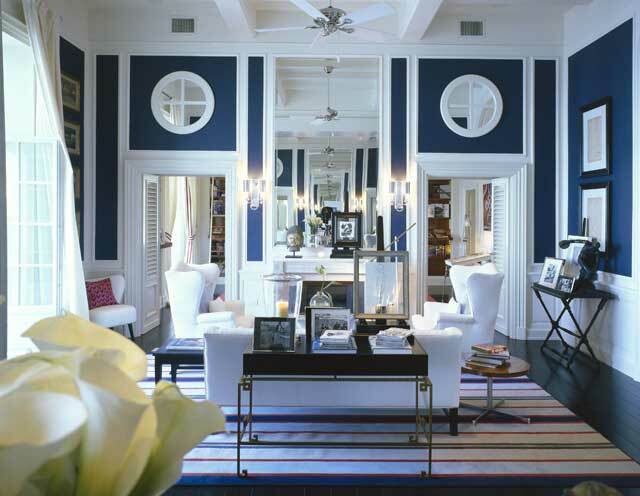 There is a certain nautical feel to this room with the round windows and white trim. The furniture is very chic so the room does not seem whimsical. I love the white furniture. 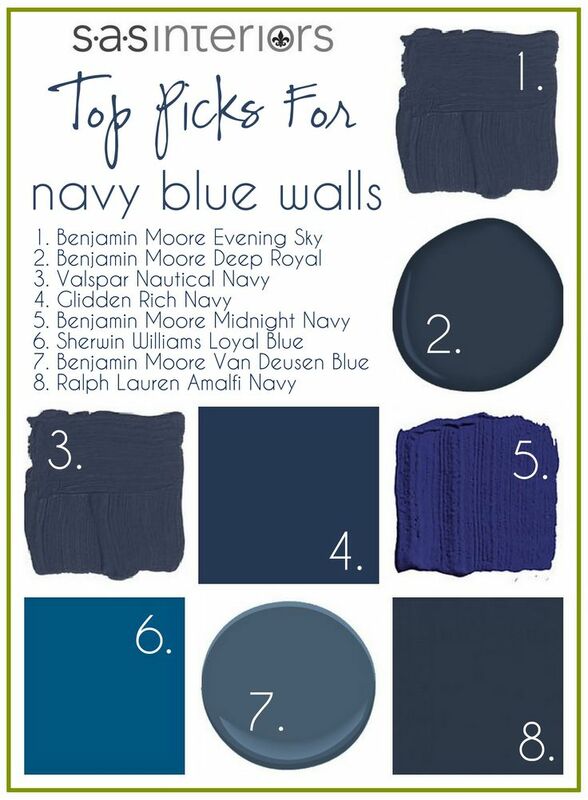 Navy walls can be tricky, so here are some of the best colors! I would just love to curl up with a good book, and a glass of red wine on a rainy evening in this cozy corner!